Guilt is a common post-traumatic reaction and is often the result of cognitive bias. 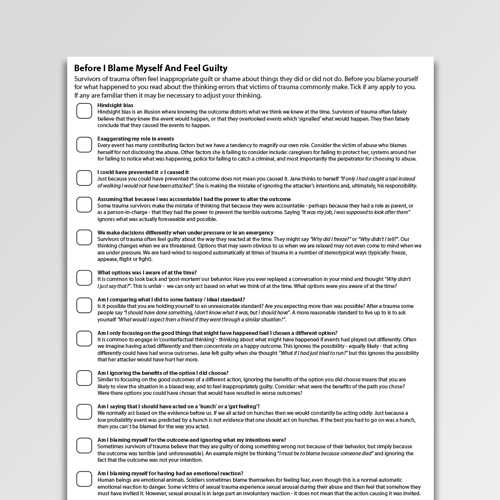 Before I Blame Myself And Feel Guilty is a checklist detailing the cognitive distortions which can result in post-traumatic guilt. 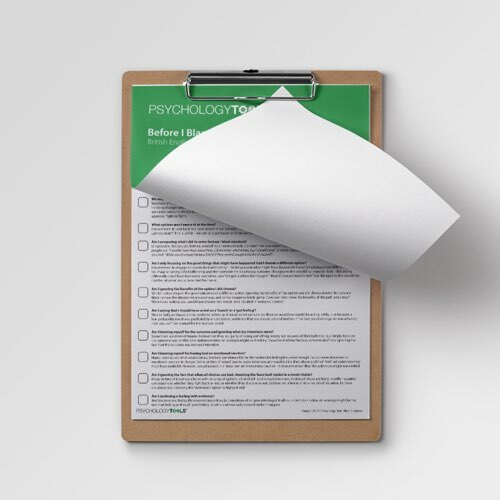 It can be used to identify troublesome beliefs held by clients with post-traumatic stress disorder (PTSD) or trauma, or to guide a conversation around post-traumatic guilt. 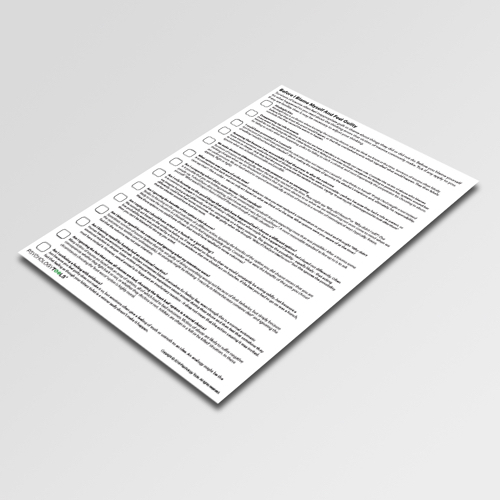 This CBT worksheet explores common cognitive biases that have been associated with post-traumatic guilt. 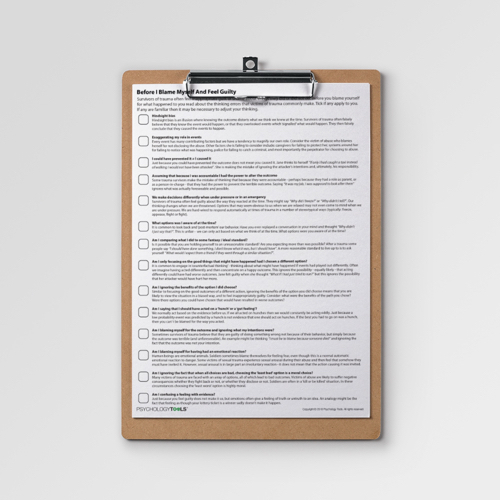 Before I Blame Myself And Feel Guilty is a checklist detailing the cognitive distortions which result in post-traumatic guilt. It can be used to identify troublesome cognitions help by traumatized clients, or to guide a conversation around post-traumatic guilt. Kubany, E. S., & Manke, F. P. (1995). Cognitive therapy for trauma-related guilt: Conceptual bases and treatment outlines. Cognitive and Behavioral Practice, 2, 23-61. Kubany, E. S., & Ralston, T. C. (1998). Cognitive therapy for trauma-related guilt. Cognitive-behavioral therapies for trauma, 124-161. Kubany, E. S., & Ralston, T. (2008). Treating PTSD in battered women: A step-by-step manual for therapists and counselors. New Harbinger Publications.